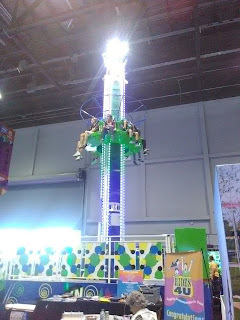 The International Association of Amusement Parks and Attractions (IAAPA) is "the largest international trade association for permanently located amusement facilities worldwide", and each year, IAAPA hosts three extraordinary industry trade shows - the Asian Attractions Expo, the Euro Attractions Expo, and the IAAPA Attractions Expo. The latter takes place in Orlando, which was recently announced to be the new global headquarters for the association (as of 2017). 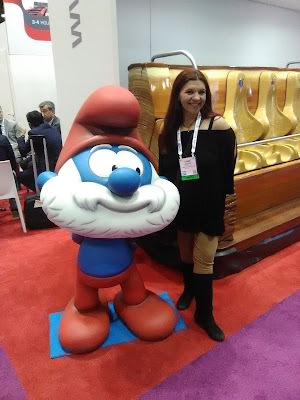 IAAPA membership of nearly 5,000 is comprised of amusement facilities (amusement parks, theme parks, water parks, family entertainment centers, zoos, aquariums, museums, science centers, and resorts), suppliers, and individuals from 99 countries. 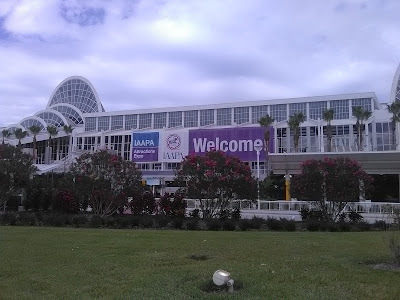 As always, IAAPA Attractions Expo was a diverse representation of this member base. 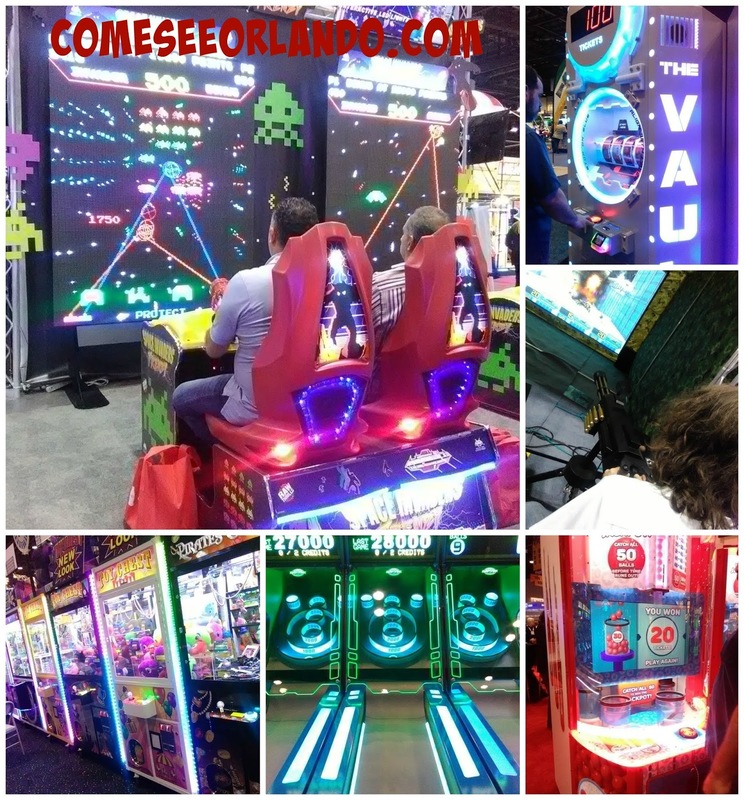 Once again hosted by the Orange County Convention Center, IAAPA Attractions Expo 2016 (November 14-18) broke previous event records with more than 22,600 industry buyers exploring nine miles of aisles featuring 1,136 vendors in 125 different product categories. 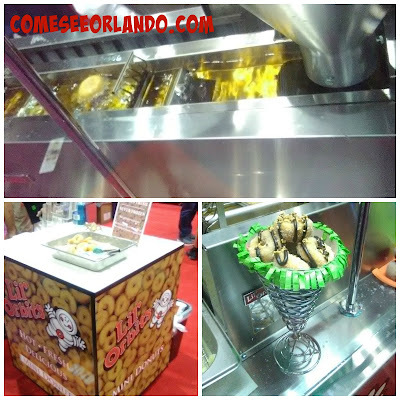 Vendors presented innovative, new products, cutting edge technologies, industry trends and delectable food and beverage concepts. IAAPA Attractions Expo 2017 is scheduled to take place November 13-17. 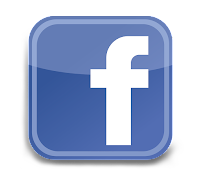 So far, more than 249 companies have already reserved their booth space. 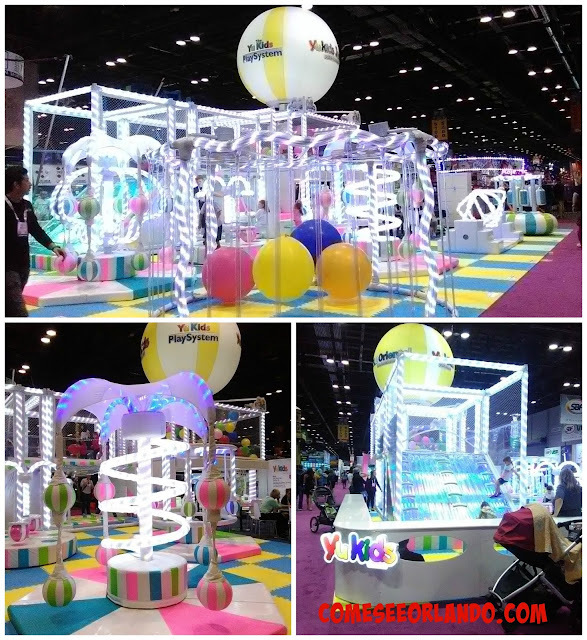 For now, here's a peek at some of our favorite finds at IAAPA 2016! SBF-Visa Group and Rides4U displayed some high-flying amusement with innovative rides that incorporate drops, 360 revolutions and best of all - speed! New amusement experiences were also on display, including laser tag and anti-gravity contraptions from companies like Cyborbots from Galaxy Multi Rides and Lazer Fury from Amusement Products. 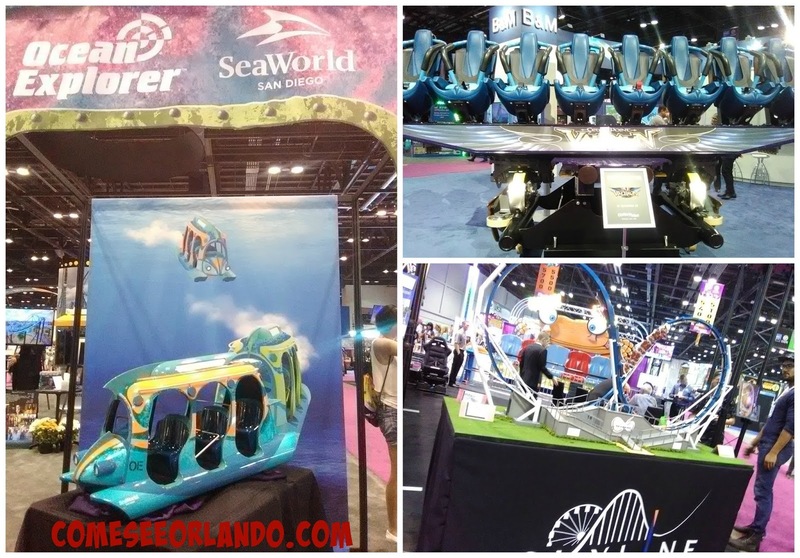 Prominently featured were new rides and concepts by some of the top theme parks and ride manufacturers such as SeaWorld, Cedar Point, and Skyline Attractions. 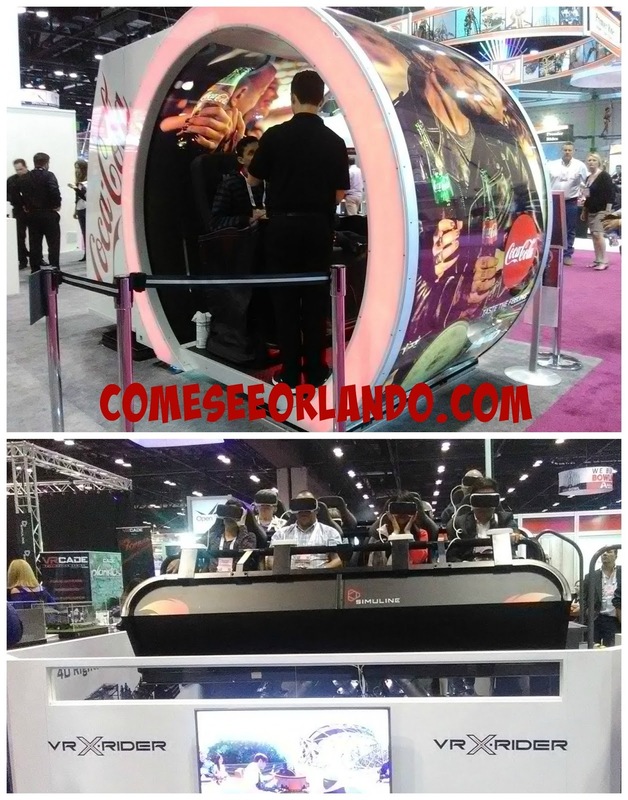 Skyline Attractions unveiled the new Skywarp roller coaster, which is 62 feet tall with a track length of 360 feet. SeaWorld Parks and Entertainment debuted three new ride vehicles coinciding with 2017 product launches at three different SeaWorld parks, including SeaWorld San Antonio's Wave Breaker, Busch Gardens Williamsburg's InvadR, and SeaWorld San Diego's interactive Submarine Quest family attraction. 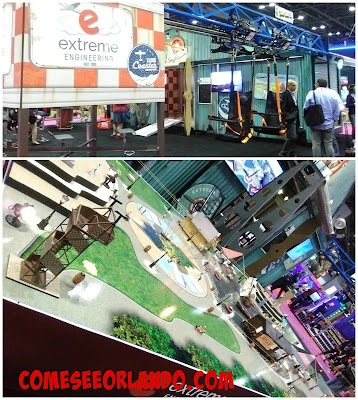 IAAPA regulars, Extreme Engineering, revealed new features being introduced to their famed zipline-coaster hybrid, the Cloud Coaster, including an upgraded magnetic breaking system and a tandem kart. 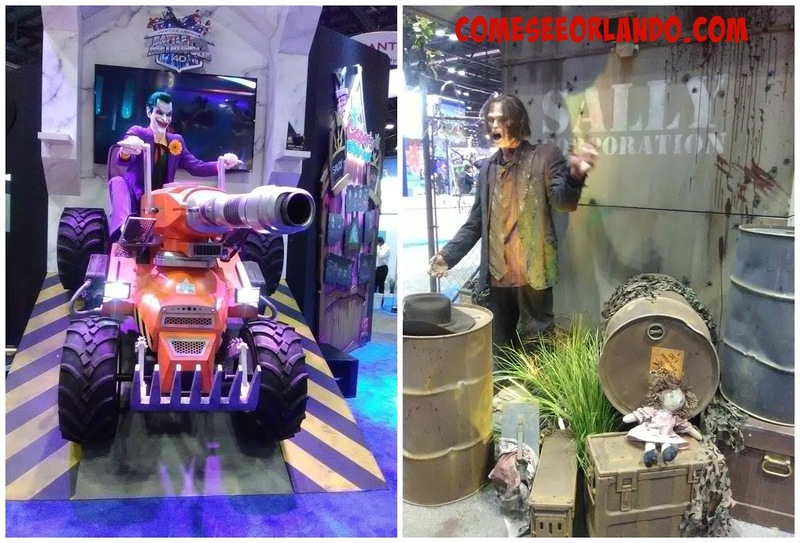 After last year's announcements of The Walking Dead: Battle For Survival and Justice League: Battle For Metropolis 4D, Jacksonville's Sally Corp introduced Five Nights at Freddy's - The Ride at IAAPA 2016. 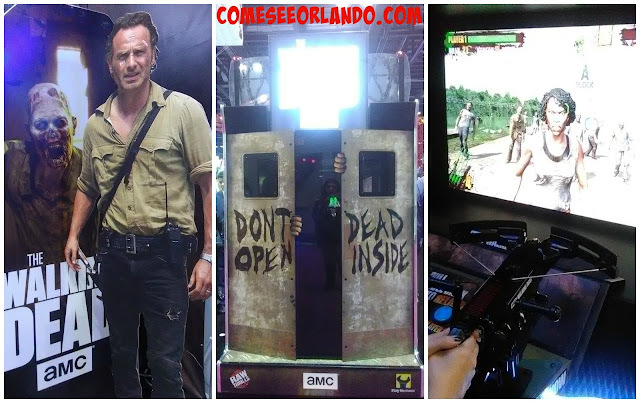 Speaking of The Walking Dead, the new crossbow-bearing video game appeared to be a smash success at IAAPA 2016, judging off the time it took us to find a chance to test it out! With numerous stations scattered throughout the gaming section of the trade show floor, each unit consistently drew eager players. I have to admit... it was hard to wrap up my session and move on, too! The gaming section was absolutely massive this year, with stellar displays from the biggest names in the industry. 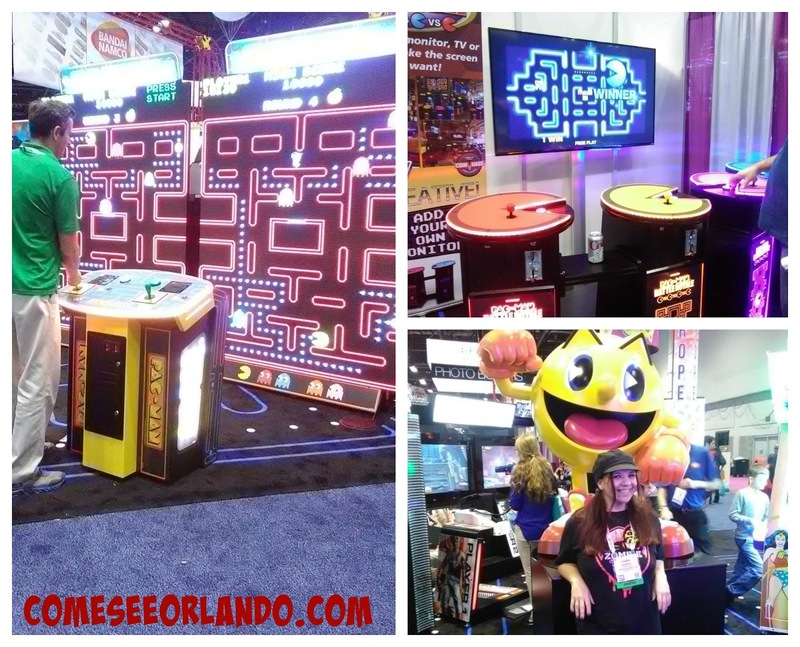 Longstanding favorites such as Pac-Man and Space Invaders were presented with modern, high-tech twists, alongside new favorites and alluring redemption games. 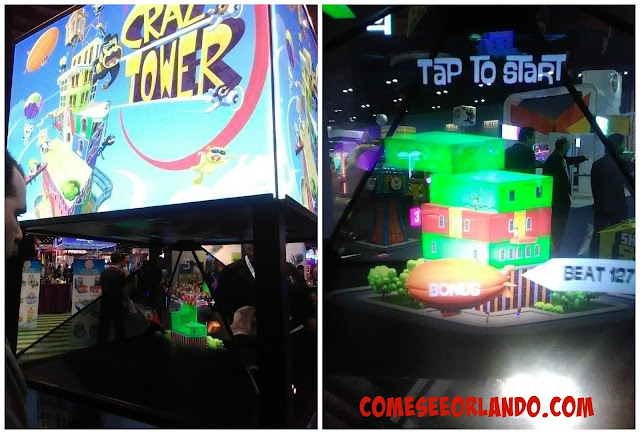 Adrenaline Amusements' Crazy Tower multi-sided holographic interface was mesmerizing, challenging, and insanely engaging! Not all games come in high-tech fashion, though... and that's perfectly okay! We had a ton of fun with carnival games such as a jumbo version of Operation, traditional games like air hockey - boomerang style, and clever inflatable games! Virtual reality had a huge presence at IAAPA 2016. 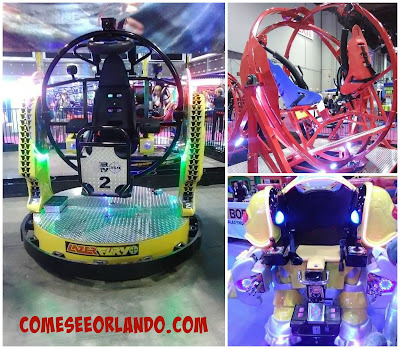 Vendors shared diverse demonstrations from the virtual Coca-Cola lab (with guest appearance from The Incredible Hulk), to hot new games, and exciting ride simulations! On the topic of reality, the wide array of animatronics on display were worthy of a double-take! There were examples in various stages and forms... some equipped with motion detectors for interaction, and others demonstrated witty banter. For those seeking a little more reality, throw on a costume and become a real, live mascot! 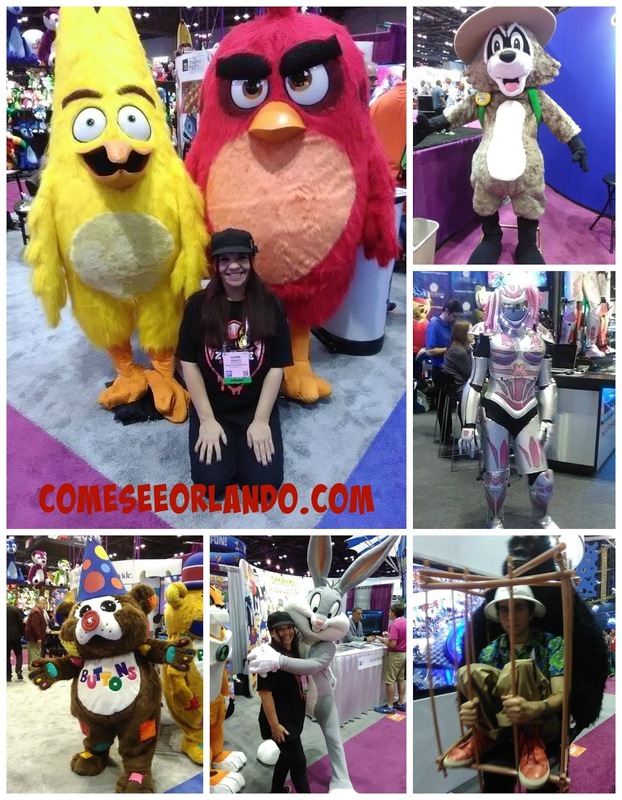 Everything from Angry Birds to robots had a place on the trade show floor. There was a good deal of representation for the youngest amusement market as well. 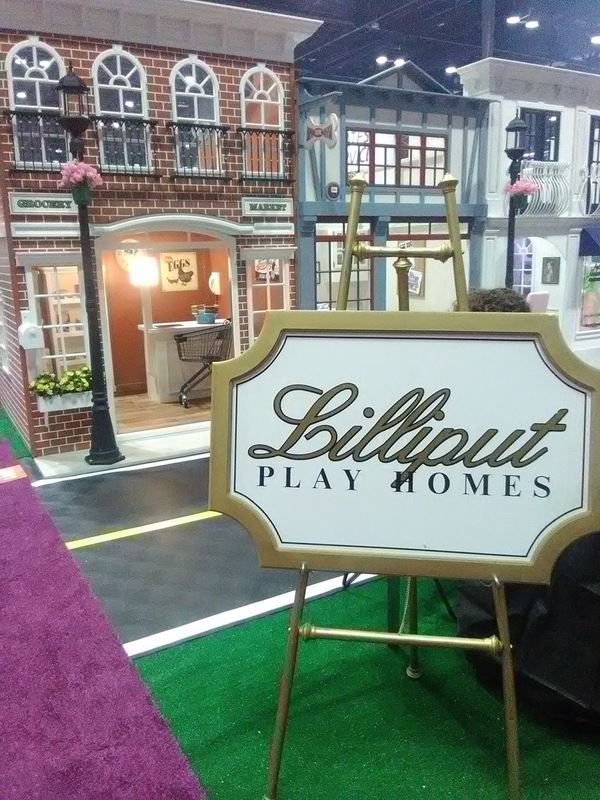 Two stand-out vendors were BLD Oriental Co with the Yukids Play System and Lilliput Play Homes. 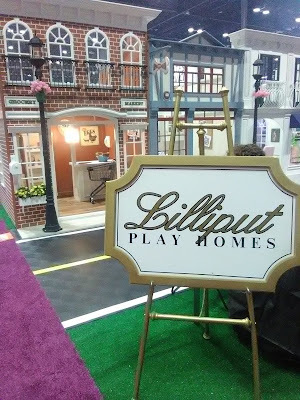 For those seeking more accommodating structures than Lilliput's mini offerings, Daniel's Wood Land had an amazing display of cabins. BUT... their earthy woodworks don't end there! 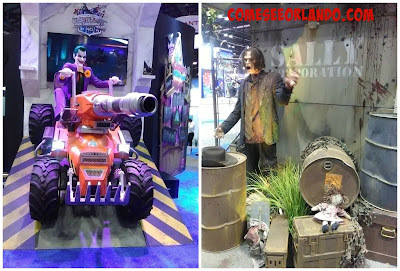 They also design shooting galleries, tree houses, playgrounds, and more - even chatty animatronics! 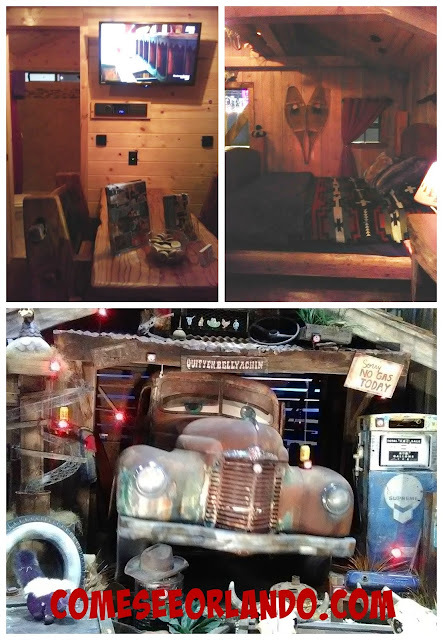 If you're in the market for country-style fun, Sandy Creek Mining Company is always a great vendor to visit! Who doesn't love gem mining?! 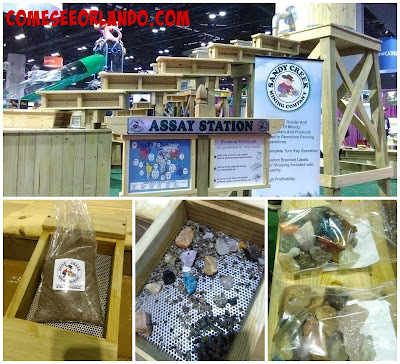 Sandy Creek has installations across the nation, including right here in Kissimmee at Old Town's Black Market Minerals. 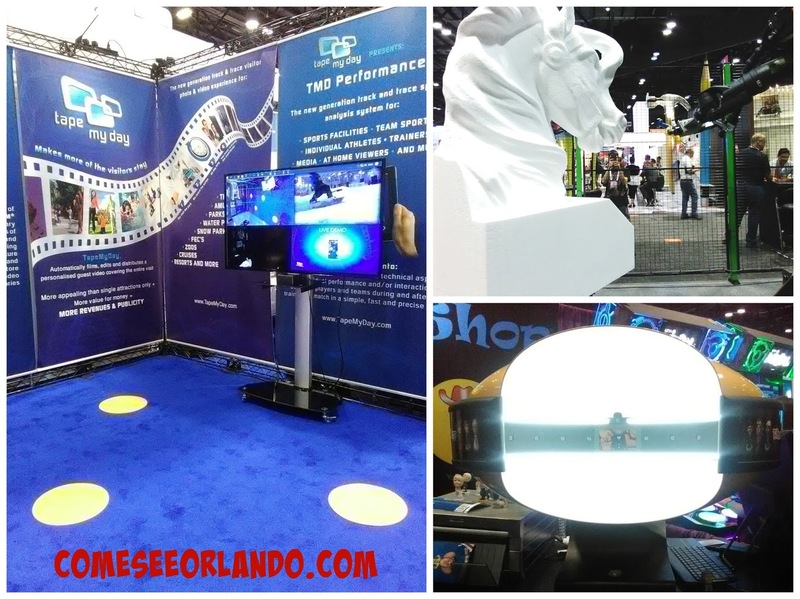 The make-it take-it market was well-covered at IAAPA 2016, in fact! Another great option in this category was Lip Labz - offering create your own lip balm/lip gloss stations. IAAPA Attractions Expo is always a great place for tech discovery, and 2016 was no different. We found a laser carving arm in action, and spent some time chatting up the representatives from Netherlands-based, Tape My Day, a company that offers a unique memory-capturing service customizable to almost any type of experience. 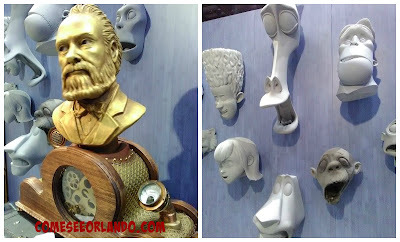 The BobbleShop was another worthy exhibitor. 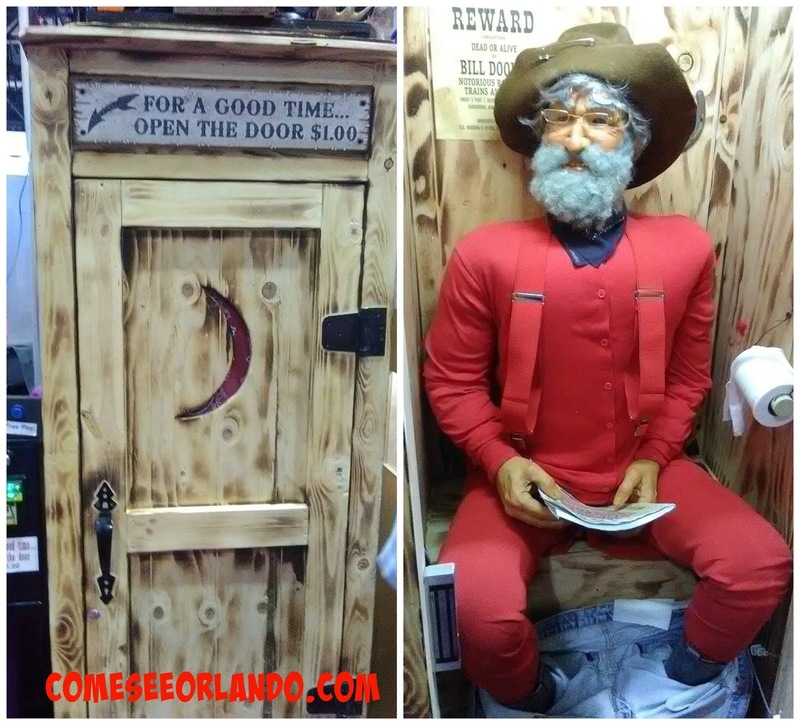 Through the use of a compact 3-D-imaging camera, The BobbleShop capture images of customers’ heads and then crafts them into 3-D bobblehead figurines which are then enhanced with a slew of personalized features and options. Another vendor that we love to visit every year is Cape Coral's Waltzing Waters - providing spectacular "liquid fireworks" that can be designed for use anywhere from theme parks to backyard parties! Sno-Biz offered fantastic shaved ice, with an abundance of flavors and optional cream added. 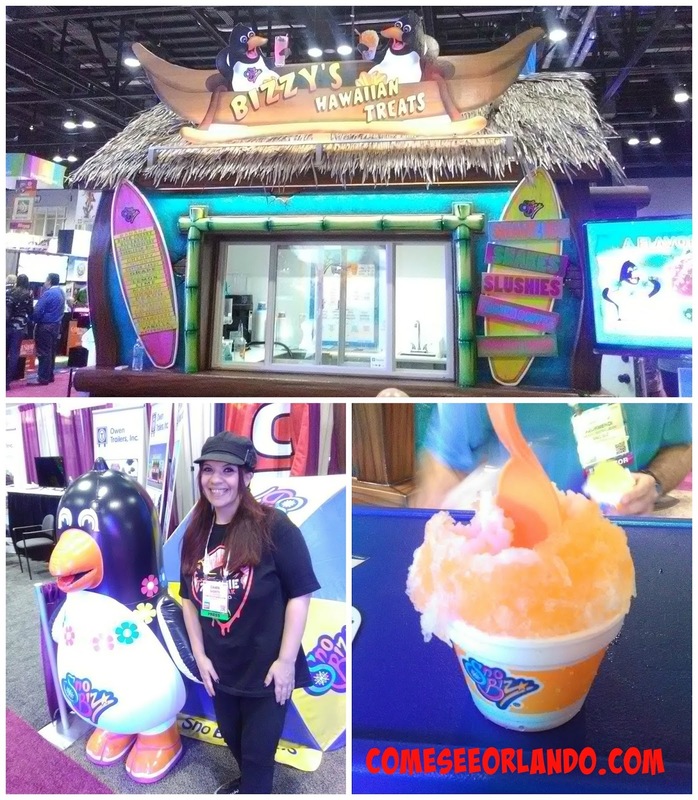 Besides the irresistibly adorable penguin mascot, as a shaved ice connoisseur, I have to say that theirs is the best I've ever had. Tasty, flavorful, and not full of clumps of ice chunks that are difficult and messy to eat! 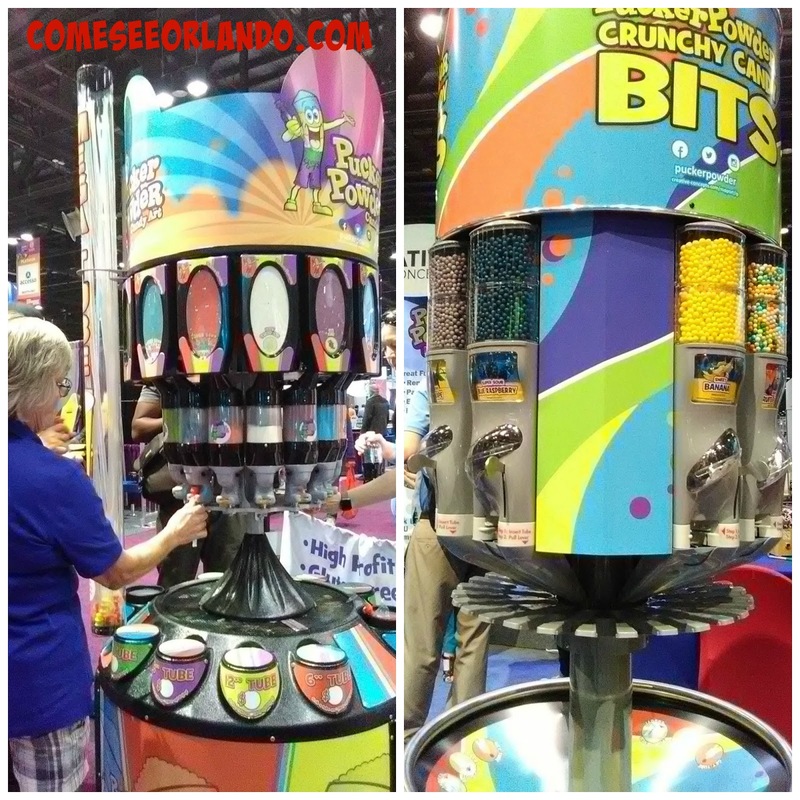 Pucker Powder dispensed a dual sugar rush with their famously flavored sugar powder and crunchy candy bits (basically like Nerds candies on steroids). 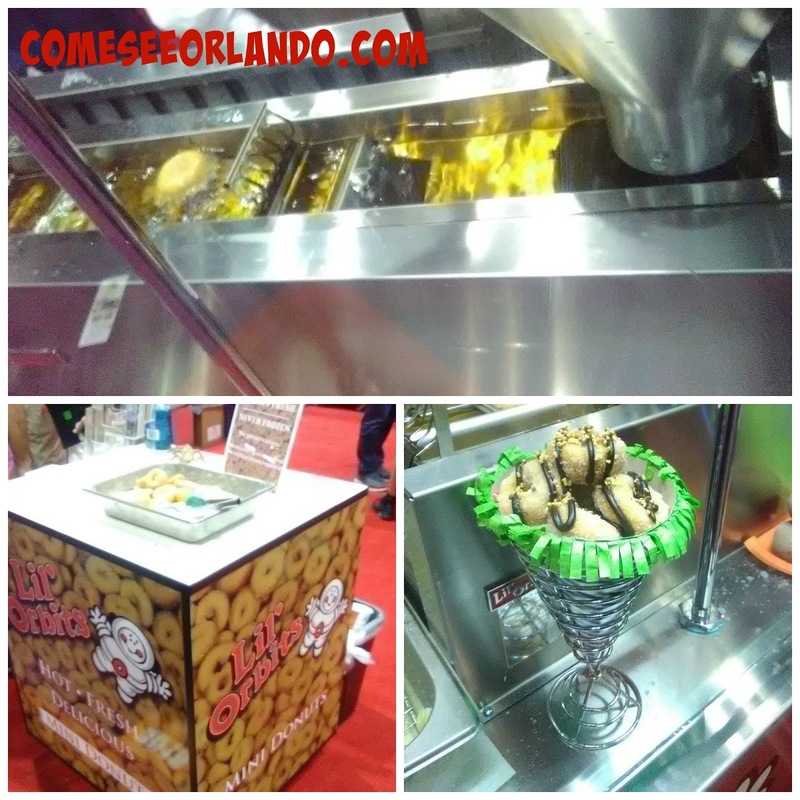 Lil' Orbits demonstrated their conveyor-operated mini donut machine, producing fresh, tasty samples in a fun and efficient way. 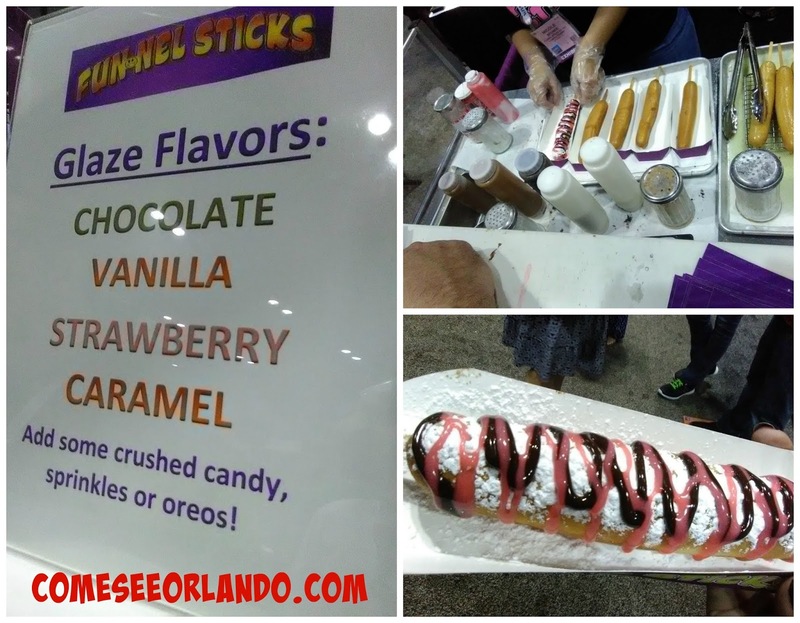 Apopka's Funnel Sticks was probably our unanimous favorite in food offerings. 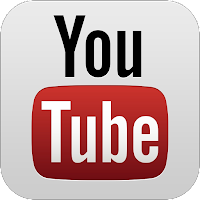 This may very well be the world's greatest guilty pleasure. Freshly made, it's a funnel cake on a stick, topped with powdered sugar and your choice of flavored drizzle and candy, nuts, or cookie crumbles in any tempting combination. 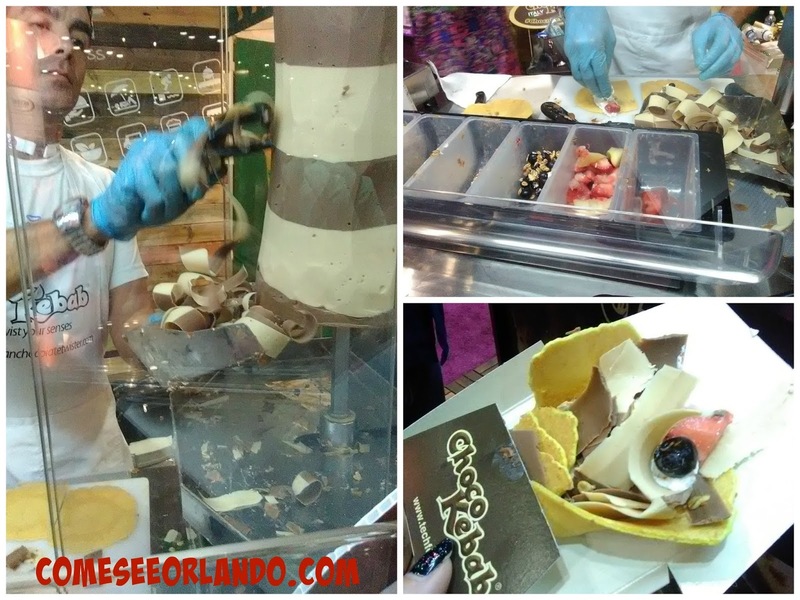 The Choco Kebab is a scrumptious new dessert treat that made its way from Italy to Florida. Essentially it's shaved chocolate, fruits, and cream (or other fillings) wrapped up in a crepe. Watching it being made was almost as enjoyable as eating it! Nathan's Famous Hot Dogs are simply an institution, and a staple in the amusement industry. Fudge is a beloved classic as well, and Calico Cottage offered the widest variety of the yummiest fudge we've ever had. 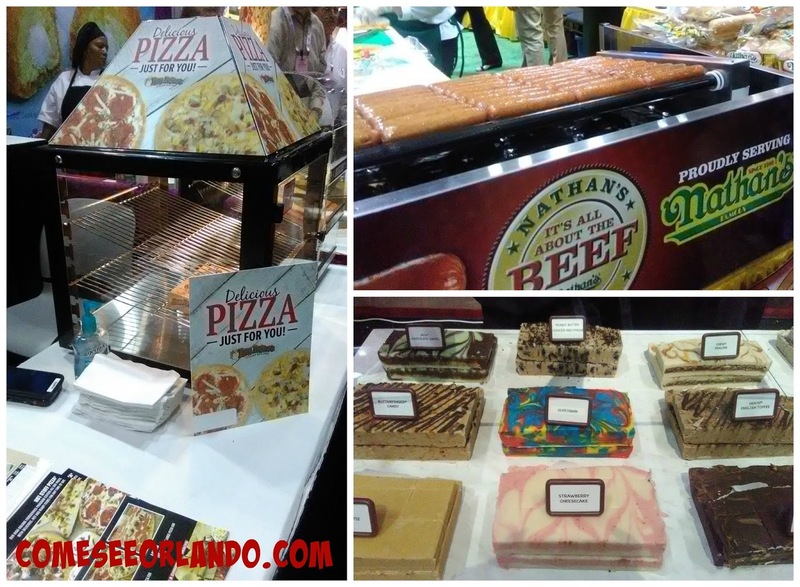 While pizza is nothing new, Papa Primo's Italian Kitchen from Orion Systems put a new spin on this classic by perfecting the frozen, microwavable version! The personal pizzas come fully assembled, pop into the microwave for a just a couple of minutes, and then continue to heat up (and crisp up) in the convenient warmer for a fresh, Italian-approved snack. 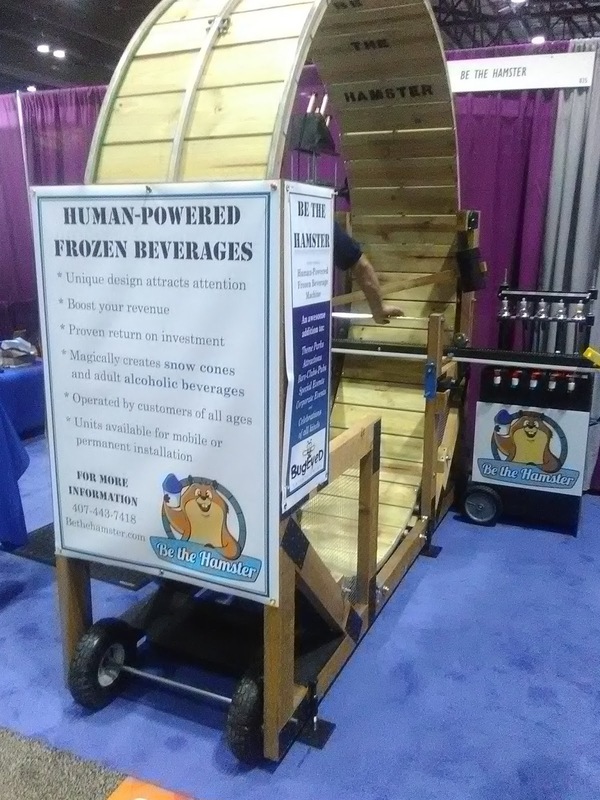 Personally, I think the cleverest thing I saw in the food and beverage pavilion was the Human Powered Frozen Beverage Machine from Lake Mary's Be The Hamster! 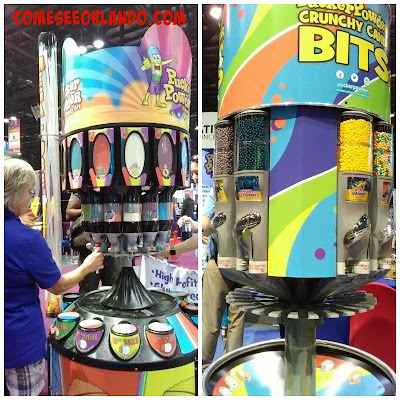 Yes... that's a Rube Goldberg inspired, eight foot tall hamster wheel with a conveyor system that crushes and dispenses ice as you run in it. 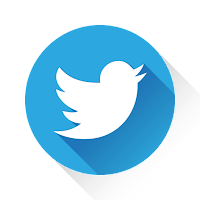 You then add the beverage of your choice upon exiting by activating the dispensing shower heads. 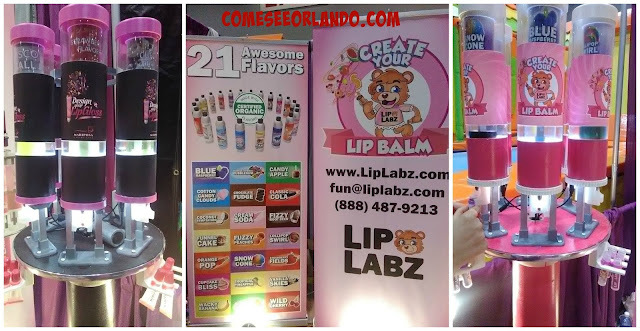 Perfect for everything from snow cones to margaritas! 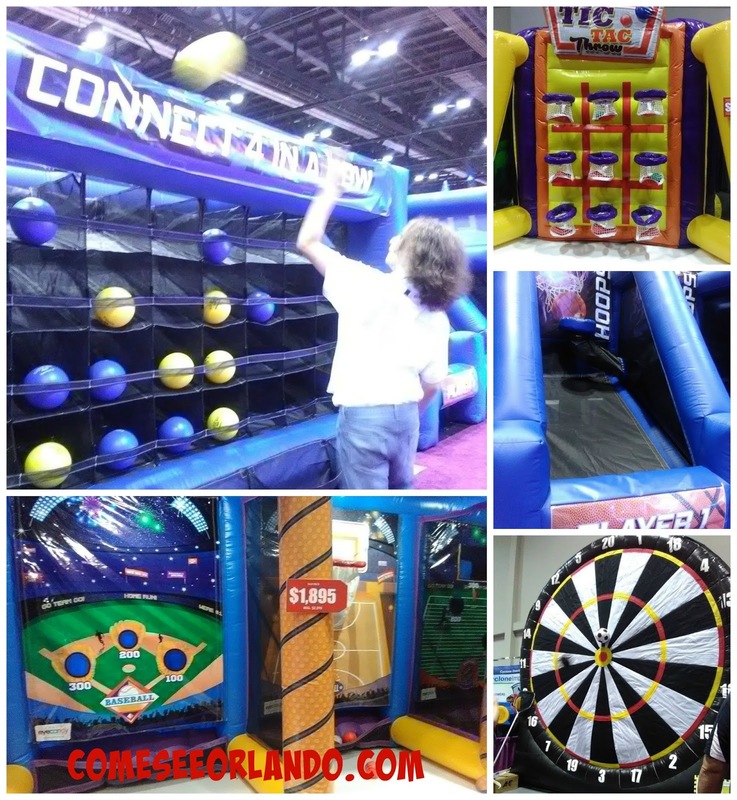 This can be easily set up and used for private parties or any kind of event. 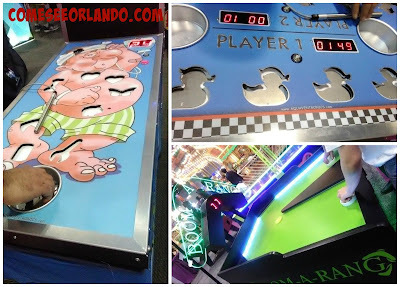 Then of course.... the pinnacle of the amusement industry. 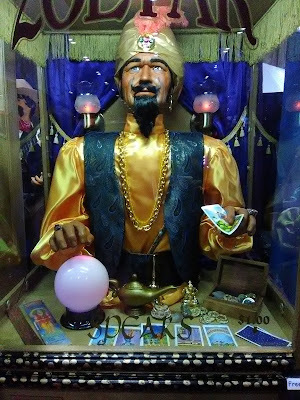 IAAPA 2016 even had a genuine "Zoltar Speaks" fortune teller. He predicts that we will be back for an even more remarkable experience at IAAPA 2017. I predict that he is right!